The Ultimate Shark Sticker File is an action-packed sticker activity book full of underwater adventures! The themed activities and shark illustrations will delight little children. 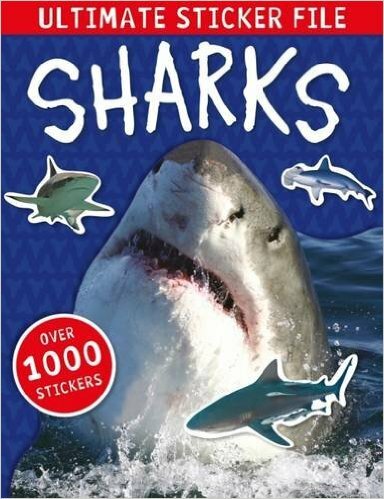 Kids can use the cool shark stickers in the book or wherever they want! My Ultimate Shark Sticker File by Make Believe Ideas is an awesome sticker book! My kids love sharks so they were excited to receive My Ultimate Shark Sticker File by Make Believe Ideas. It contains over 1,000 awesome stickers. There's 56 pages of shark fun and the stickers are absolutely beautiful. My Ultimate Shark Sticker File by Make Believe Ideas would make a perfect gift for kids! You can find My Ultimate Shark Sticker File by Make Believe Ideas on Amazon, Barnes and Noble and other bookstores.